Whether you're a West Indian looking for tasty new ideas or a novice looking for something out of the ordinary, this marvelous new collection of regional recipes will inspire you to Eat Caribbean. Robust and spicy, full of pungent flavors, Caribbean cuisine is gaining recognition as a vibrantly distinct style of cooking. Now, Virginia Burke sets off on a voyage around the islands of the Caribbean, gathering all the finest dishes they have to offer. In this new collection, which is expertly drawn together through the ingredients common to the islands, traditional dishes like Jerk Chicken vie with modern classics like Grilled Coconut Shrimp and Sweet Plantain and Ginger Flans. An entire array of recipes is offered, from Creamed Cassava with Roasted Garlic to Little Rum and Chocolate Puddings, and there is a special chapter on Jerk, along with more traditional chapters that range from appetizers to desserts. 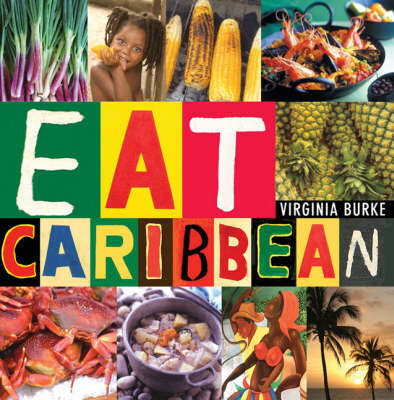 Colorfully illustrated throughout, this is an exuberant celebration of Caribbean cuisine.